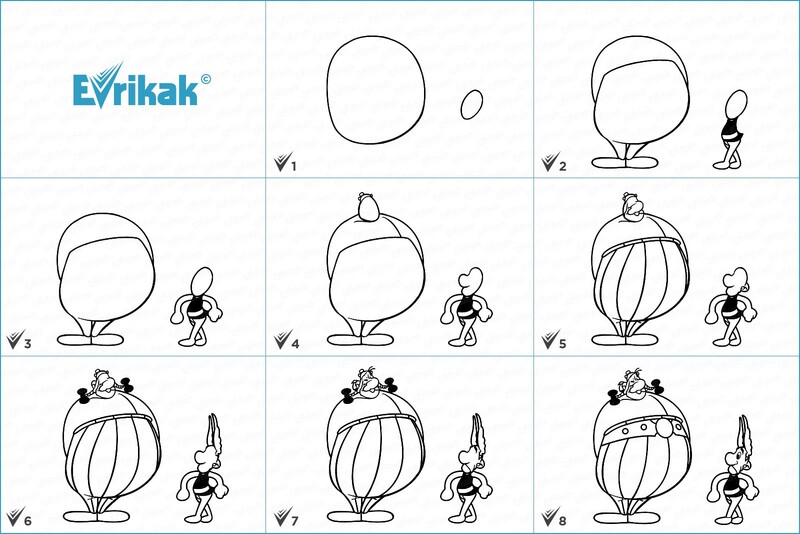 How to draw the main characters from the cartoon "Asterix and Obelix"
Asterix – the cunning little warrior of small stature with the small moustache. He wears a helmet with wings on the head and has a small sword. He has a good sense of humor. All dangerous things are coming to him in the first turn. He gets super powers by drinking a magical potion which cooks the village druid. Obelix – the best friend of Asterix. He loves to eat wild boars. We can postpone all the important things and go with Asterix for the adventures (and there’s always a danger there), but only if there are a lot of wild boars there in order to eat well. He has a great power without magic potions. When he was a child, he fell into the pot with this magic potion, and drank it all. Since then the potion is prohibited for him. Now we want to offer you to draw them. Our step by step instruction will help you with this. Good luck! 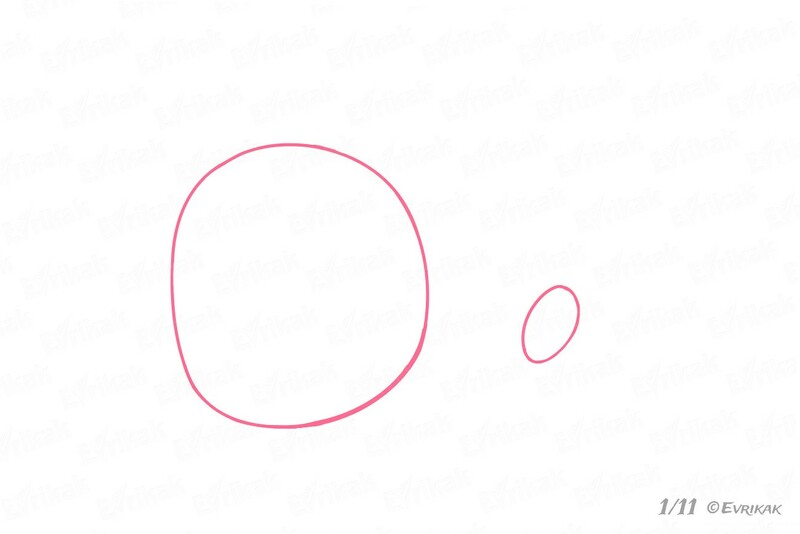 We draw a large uneven oval from the one side and the oval which is much smaller nearby. 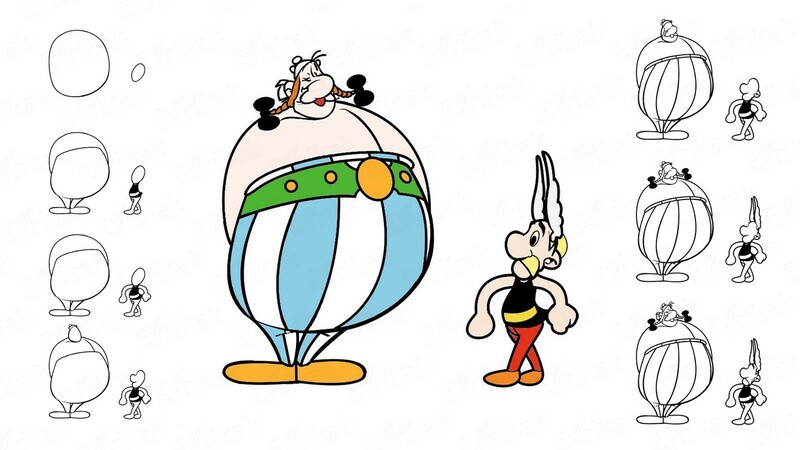 The large one will designate Obelix, the small one – Asterix. 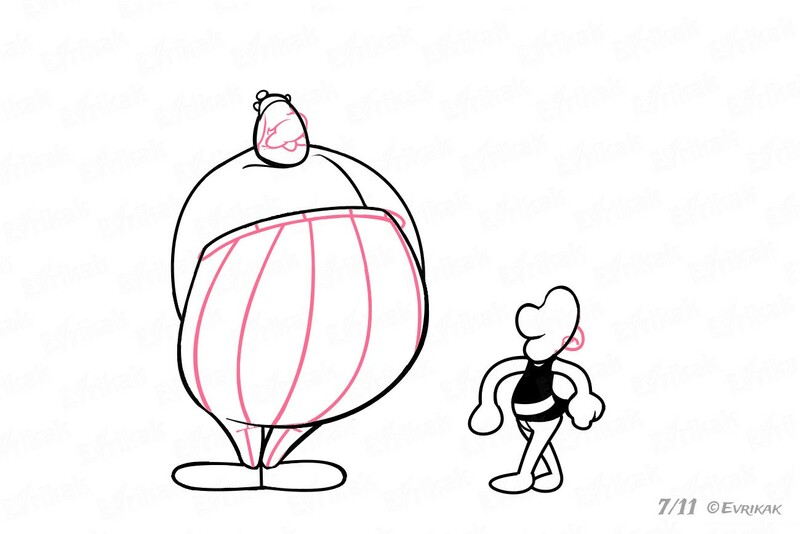 They are disproportionate to the size of the body. 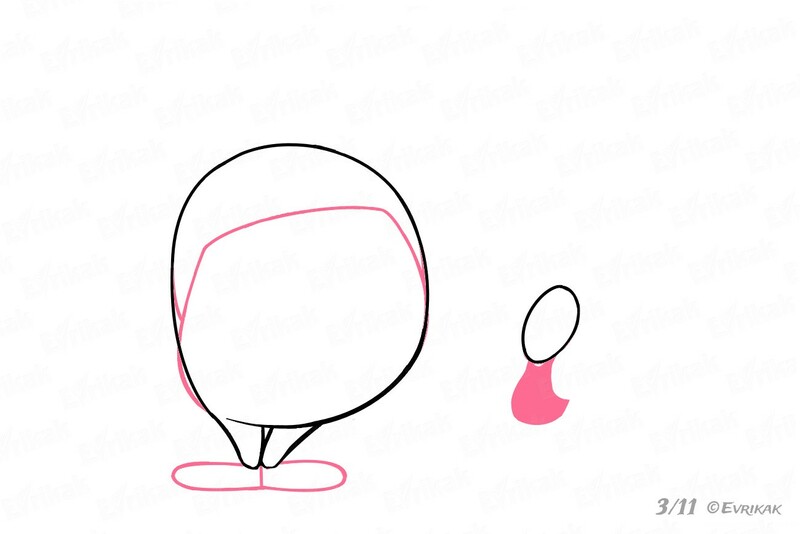 We draw the feet for a big man, which “look” in different directions. And we draw the lines indicating the pants. Draw the body shape of Asterix. 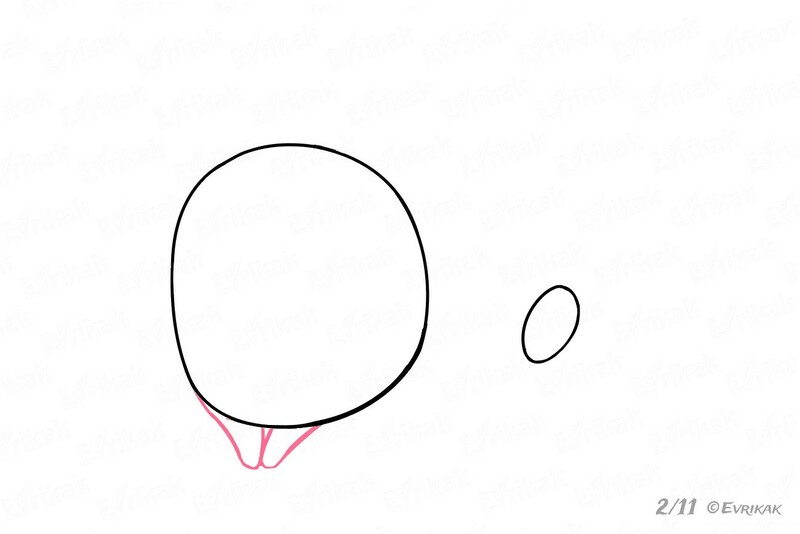 It differs from the shape of his friend. 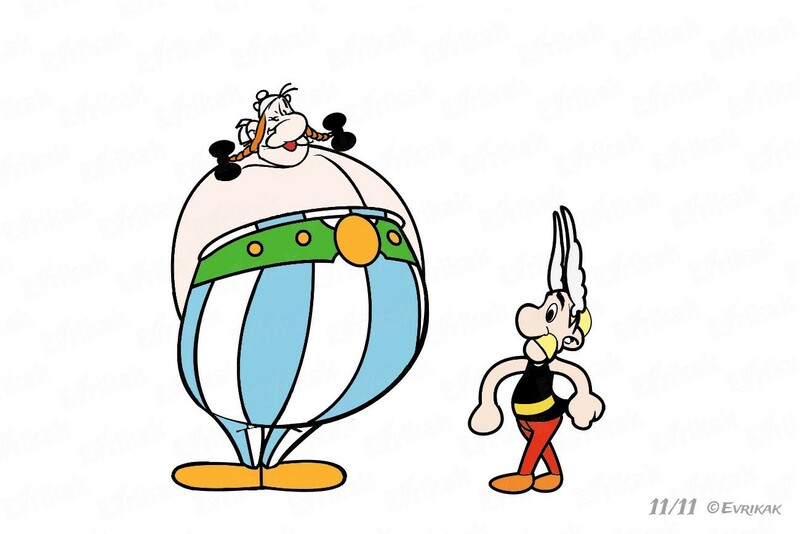 Unlike Obelix, Asterix has the legs, which are proportional to the body shape. Draw them as if the hero shows his strength. In comparison with the body, the head of Obelix is very small, it has an oval shape. He’s wearing a helmet. The nose of Asterix looks like a potato. Do everything as it’s shown in the picture. Obelix has two funny pigtails tied with bows. Asterix has two protruding bird feathers on his head. Remember, we’ve been learning how to draw a bird feather. Look at the pictures and draw the unnecessary details. Obelix wears a metal belt, like the boxers have. Draw the eye to Asterix (it must look surprised). 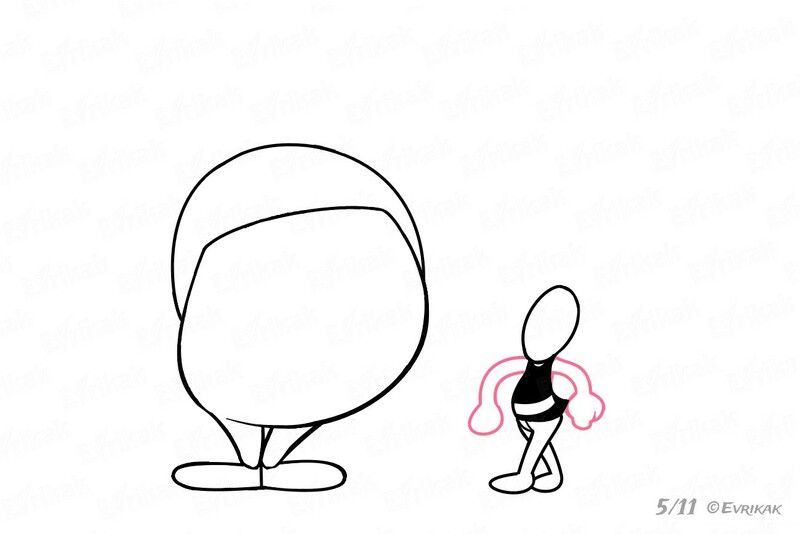 You can get creative and color the characters in your favorite colors. You can color Asterix and Obelix online on our website. You will like it!